Every year, every class of cars is modified and restyled in order to constantly maintain the level and stay on top of the ratings. 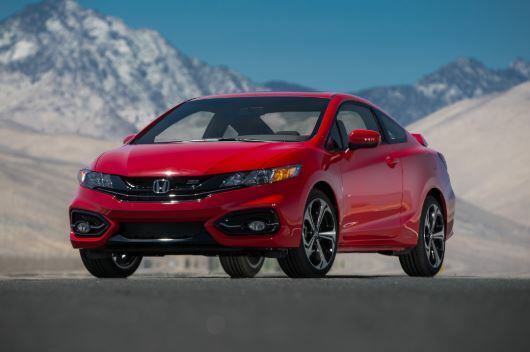 Honda also makes updates and successfully retains its place in the top three best and practical small sedans. Honda Civic belongs to the class of civilian cars for each day, distinguished by its practicality, efficiency and simplicity. This Civic contributes to economical engine capacity of 1.8 liters, the average consumption of which is 6.7 liters per 100 kilometers. In addition, this model also has a hybrid version, the fuel consumption of which does not exceed 5.2 liters. The model received high safety scores on many crash tests. The convenience cabin adds a 7-inch display located on the center console, to which you can connect your smartphone using Apple CarPlay technology and Android Auto. Honda Civic 2017 Sedan: when riding is in pleasure! The main competitors of the Honda Civic on the market are the following models: Ford Focus 3, Mazda 3. These cars make up the top three leaders in this market segment. Hybrid. The base models LX are equipped with 15-inch alloy wheels. The front-wheel-drive Honda Civic is equipped with a 1.8 liter engine, producing 143 hp. For the sedan in the PACKAGE LX, you can choose either a 5-speed manual gearbox or a CVT variator. Why is the transmission based on the variator standard in most sets? Because it provides fuel economy, which is very important for inexpensive cars from this class. Engine consumption 1.8 with a variator is about 7.8 liters per 100 km of the city and 6 liters on the highway. To complete the HF, these figures will be around 7.5 liters in the city and 5.7 liters on the highway. With this engine configuration with a CVT variator, the Honda Civic accelerates to 100 km / h in 9-9.1 seconds, which is on average half a second less, among other indicators in this car class. The hybrid version of the Civic is equipped with a 1.5 liter engine, which, together with an electric motor, gives out 110 hp of power. Consumption of such an engine is 5.3 l. / 5 l. when driving around the city / highway, respectively. And acceleration to the first hundred is 10.1 seconds, which is an average value in the market of hybrid cars. The sports equipment of the Si is equipped with a 2.4 liter engine, with a capacity of 205 hp. For this model, there is only a 6-speed manual gearbox. Of course, the consumption of such a volume will not be so low, it is 10.6 l. / 7.5 l. by city / highway, respectively. 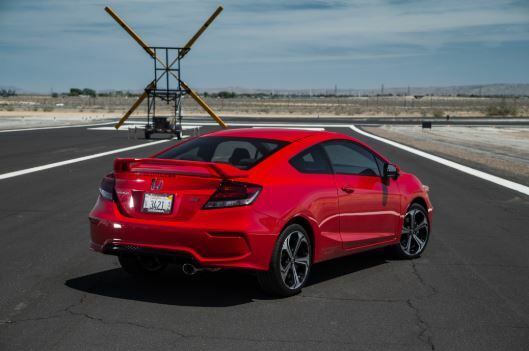 Coupe Honda Civic Si 2015 accelerates to a hundred in 6.8 seconds. for the EX and EX-L, there is a camera for monitoring blind spots. The overall safety rating of the car is excellent. At the same time, frontal security received a rating of 4, and side 5. Honda Civic costs in the range of 12 000 dollars, depending on the purchased configuration. Americans are used to change cars every 3-5 years, although American cars have been working for decades. In the US, the market for used cars is constantly updated with interesting offers. Due to high-quality road surface in the United States, American used cars differ little from new ones in their technical condition, and their prices are incomparably lower. « Mitsubishi Outlander 2016 is a crossover that does not need additional advertising.